This was originally published on Monday, September 18, 2017, in the Pacific Daily News. Click here to subscribe to the PDN. Q: I am looking to start investing my money other than just in my savings account at my bank. I am not sure where to start or where to invest. Do you have tips for a first-time investor? Banks and credit unions are a safe risk, but returns aren’t as high as other types of investments. The general rule is the higher the risk, the higher the return. If a return higher than a bank, credit union or financial institution is what you seek, I recommend you first identify your tolerance for risk. That will determine how you invest your hard-earned savings. Have a plan. Ask yourself a few questions. How much can I invest? Can I afford to lose money? What is my goal? How long do I want to take to reach my goal? What type of investment do I want? Risk tolerance. The website thebalance.com describes risk tolerance as an investing term relating to the amount of market risk, especially the volatility (ups and downs), an investor can tolerate. Understanding your risk tolerance is an important component in investing. Have a realistic conception of your ability to take a risk. Are you able to handle the loss without panicking and selling at the wrong time? Taxes. Most people start an investment with a small amount of money and grow it over a period of time. Consider investing in a tax-efficient plan like a pension plan. How much tax you pay upfront or at the end makes a huge difference. Know how your money is going to be taxed when you open up the account. Diversify. Consider putting your money in different types of plans. Different markets rise and fall and having your money in different types of markets and plans will help balance the losses. Diversification reduces the risk of your portfolio from being completely wiped out by a single event and is the best defense against a financial crisis. Invest regularly. Investing a little here and there can be more beneficial than investing lump sums less frequently. It takes advantage of compound interest. Compound interest is based on the interest made based on the amount invested. The more invested, the more it earns. Review. Look at your investments quarterly and at the end of the year. Don’t be so quick to move your money around or sell. Most trends need time. If you constantly review your portfolio, you become anxious and do something you may regret later. By evaluating it over time, you can get a sense of how well or poorly your investment behaves. As different funds change, it will affect the overall risk tolerance of your portfolio. Stick to your plan. Unless your goals change, stick to your plan. If you have concerns, seek guidance from a professional. Know what you are comfortable with. Investing is best when it is easy and stress free. This was originally published on Monday, March 20, 2017, in the Pacific Daily News. Click here to subscribe to the PDN. No matter what your children’s ages are, raising them can definitely be expensive and stressful. As parents, we focus on the raising the children and often have to weigh the cost of money versus the cost of time. With life’s everyday hustle, we tend to lose sight of financial shortcuts that may make life a little easier. But sometimes it’s worth taking the time to find ways to make your dollar stretch. Tax time should be no different. If you meet certain criteria, you could be eligible to claim tax deductions and credits. Some of these deductions and credits could save you money that can ease some financial shortcomings of raising children. Adjust your withholdings. Did you have a baby recently? If so, don’t forget to get with your employer and adjust your tax withholdings. Adding a new child to the family can give you more tax deductions when filing. Your employer deducts taxes based on the number of allowances you claim on your W-4. When you have too much withheld from your paycheck, you basically are giving the government a loan on your money. You can be using that money to invest, save, or to reduce debt. On the other hand, having too little withheld from your paycheck could mean you pay at tax time rather than get a refund. The goal is to balance out to zero, so you don’t pay extra tax or receive a big tax return. You can calculate your withholding easily by going to the Internal Revenue Service’s tax withholding webpage, or go online and look for a free tax withholding calculator. You can adjust your tax withholding at any time if you or a spouse get a second job, change jobs, were unemployed, got married or divorced, or had a baby or adopted a child. Earned Income Tax Credit. Many qualified taxpayers may overlook this tax credit, but it can save them thousands of dollars. The eligibility is limited to low- to moderate-income earners. You must be 25 years and older, but younger than 65. Your dependents must have a valid Social Security number. According to the IRS, for tax year 2016 the maximum credit you can obtain this year is $6,269. If you are self-employed, you may still be eligible for this credit. Unfortunately, if you receive more than $3,400 of income in 2017 from investments, stocks, rental properties or inheritance, you will be disqualified from the credit. The American Opportunity Tax Credit: An eligible student can’t have completed four years of schooling, must be enrolled in at least one academic semester, and must maintain at least half-time status in a program leading to a degree. For more on eligibility, visit the IRS website. Only one American Opportunity Credit is available per eligible student each tax year. The maximum annual credit per student is $2,500. The Lifetime Learning Credit: You must have made tuition and fee payments to a post-secondary school (after high school) during the year. The Lifetime Learning Credit has no limit, as long as your child participates in an eligible degree program. This was originally published on Monday, January 9, 2017, in the Pacific Daily News. Click here to subscribe to the PDN. Q: I want to start saving more in 2017, but I always find myself barely making it to the next payday. Living payday to payday is difficult and saving money on a tight budget seems almost impossible. Do you have any tips that you can share to help me find money to start saving? I commend you for wanting to start saving. You are not alone. Many people find it hard to save money, especially with the cost of living. I’m not going to sugarcoat it — saving may mean having to give up certain luxuries and reprogramming the way you think about spending money. If you stick to it, you will find that once you get going and see your progress, you will continue to save and eventually it will become automatic and not so tedious. Some of the tips I have may not fit your lifestyle. Pick the tips that best suit you. If it doesn’t work, try something else. The important thing is to keep saving a little at a time. Record your spending. Most people think they know exactly where their money goes. The truth is you will be surprised to learn how much you spend on nonessential items. Save the receipts of all your purchases and expenses. At the end of the month, make two categories: essential and nonessential. In the essential category, include your rent/mortgage, insurance, groceries, loan/debt payments, fuel and any other payments you must make. Under the nonessential category, include your impulse and entertainment expenses such as coffee, eating out, game or music downloads, cigarettes and other items you don’t necessarily need to survive. Credit cards. Credit cards are a great way to build credit, but using credit cards to pay daily expenses can really be draining your savings potential. Most credit cards have high interest rates. Unless you pay your card off at the end of the month, you will be paying hundreds of dollars on a cup of coffee by the year’s end. Use your credit card sparingly and you can save hundreds, even thousands, of dollars. Tax time. Be sure that you are getting all the exemptions for which you are eligible. It may cost a little, but see a financial adviser or tax preparer. You may be eligible for some tax breaks that you didn’t know existed. Use the tax savings to pay down some debt or put it in a savings account. Compare prices. Many people overlook this tip because it does take a bit of time to do your research. Before going grocery shopping, compare store circulars and sales. A little research can save you a few hundred dollars a month. Compare prices for expensive items as well. Home and auto insurance is another expense for which you can compare prices and save. Earn extra money. You don’t have to get another job, but you can use your free time to earn money. Ask your family, friends, or neighbors if they have any jobs around the house that they need done. Baby-sitting, car washing, house painting, yard work, house cleaning and other jobs can bring some additional cash. Put some of the extra money earned in a savings account and use some of it to pay off debt. Think before you spend. It is nice to treat yourself every now and then, but evaluate before purchasing. If you want to purchase a $60 dress and you make $10 an hour, is that dress really worth six hours of work? Sometimes reminding yourself of just how much you work to earn your income can put how you spend your money into perspective. Use cash only. It’s hard to know what you are spending when you use your debit or credit card. If you use cash, you can literally see the cash depleting from your wallet. This can help you break the cycle of overspending. This was originally published on Monday, December 29, 2014, in the Pacific Daily News. Click here to subscribe to the PDN. Most of us are in a mad rush to wrap up loose ends before 2015. Hopefully you have had some time to review your finances. If you need to make some changes, it’s not too late. Some of the changes you make could affect your finances for next year. Taxes — It may only be December, but it’s never too late to start thinking about taxes, after all, your W-2 should be out by mid-January. • To defer or not to defer? Deferring your money is a legal way that lets you pay taxes tomorrow on what you earned today. Basically, it lets you hold on to the money you make a little bit longer. By doing so, you can invest, pay off debt, improve your home, build your emergency fund and so on. It works for you right away. You can place your money in certain types of retirement accounts or investments or into real estate. You should consult a tax accountant to help you defer your taxes. • How much are you putting into your retirement fund? For most, retirement plans taxes are taken out when you make withdrawals. By placing more into your retirement plan, you could defer the tax on that money until a time when your tax rate is lower. A bonus is that you will have more once it’s time to use your fund. • Do you have assets in your portfolio that lost money this year? If so, they can be used to offset any capital gains. Contact your financial adviser if you have more losses than gains. • Do you itemize your taxes? If you do, start getting them in order; don’t wait till April to collect your documents. You will have enough time to calculate your taxes using the standard and itemized deductions. Compare which will save you the most. • Do you give to charity? ‘Tis the season to give and giving to charities could save you some money come tax time. Your donation does not have to be monetary. If you donated toys, clothing, furniture and other household goods to a charity, you can receive a tax receipt. At tax time, you can use the donation to reduce your tax bill. • Do you get a large tax return? If so, you may be over withholding for your taxes. The government borrows your money interest-free and then returns it to you at the end of the tax year. If you are underpaying, then you may have a larger tax liability when you file. Go to your employer and adjust your withholdings to balance out an over or underpaid tax bill. Taking time to review your finances gives you insight on how to improve your finances. It may reveal that you may need some modifications to get in line with your goals. It may show that you are right on track. Either way, it should give you some comfort to know you are in control of your finances. 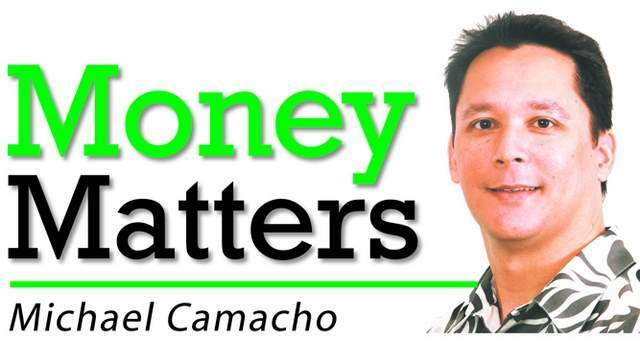 Thank you for reading Money Matters. I get a great sense of happiness knowing that I can help clarify some financial issues and give you some tips to getting closer to your goals. I wish everyone a very happy and prosperous New Year.